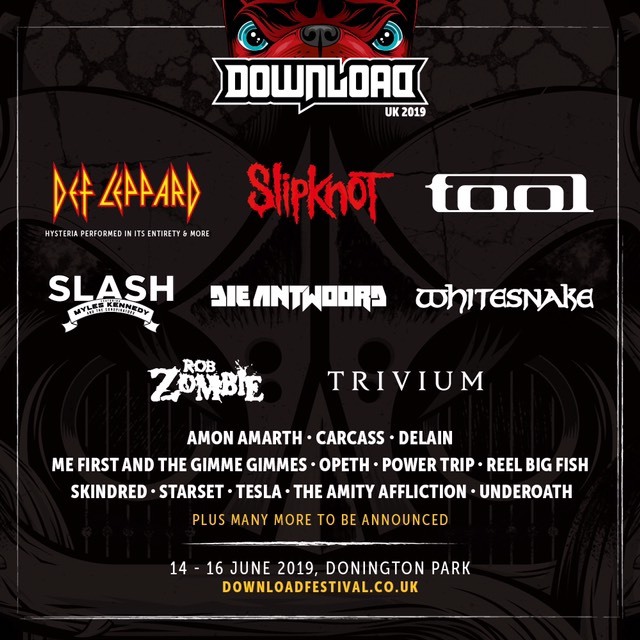 Def Leppard, Slipknot and Tool are set to play next summer's Download festival. The rock and metal event is one of the most important in Europe, attracting colossal crowds that draw on an international audience. Returning next summer, Download will run between June 14th and 16th at its spiritual home in Donnington Park. First names on the list include Def Leppard performing their classic album 'Hysteria' in full, alongside a plethora of other classics. Slipknot and Tool join the bill, with Download also welcoming Slash, Die Antwoord, Whitesnake, Rob Zombie, Carcass, Reel Big Fish, and more. Download runs between June 14th and 16th.